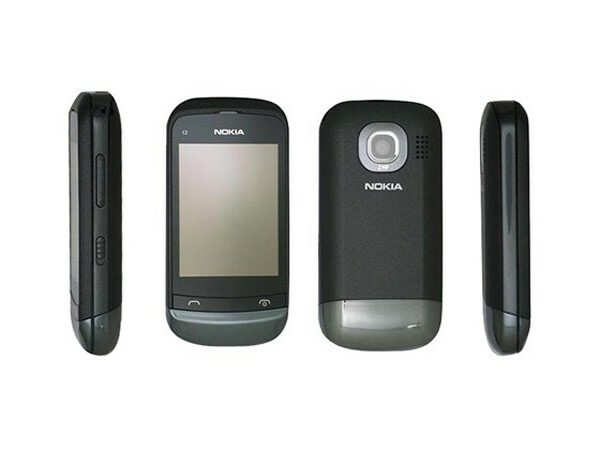 The Nokia C2-06 is a dual-SIM supporting mobile phone which supports two GSM SIM cards at a time and let the users enjoy two networks together.NokiaC2-06 will run on Symbian Series 40 6th Edition operating system. It has dual standby capabilities, which mean that both SIM cards in the two phones are active at the same time, thus enabling its user to receive calls and text messages on either number while the phone is on. This Nokia Touch and Type slider phone comes equipped with a 2.8-inch QVGA TFT Display, EDGE/GPRS, Bluetooth, SD card slot, storage expandable upto 32GB, 2 megapixel camera, media playe,stereo FM Radio and 3.5 mm audio jack,equipped with alphanumeric keypad. It comes with a price tag of Rs 5349 .